The Nike core set has just been released and is now live on the site. You can check out all the recipes, boosts and get a complete item list from the Nike Core Set page here. Or load it straight into the Core Builder so you can get customizing with different gem combos. Click here to load the Nike Core set into the Core Builder. 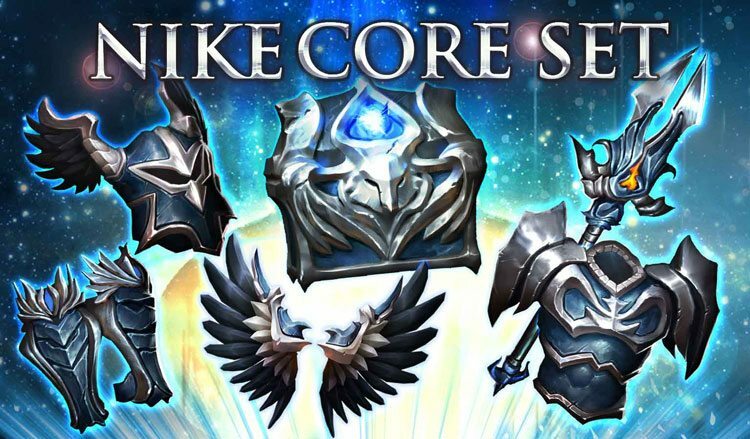 The Nike Core Set is a massive Infantry Missile Set with huge attack boosts and debuffs. Alongside Ares (Cavalry) and Poseidon (Ranged) it forms a trio of high-power troop specific missiles. The overall power level is the highest we’ve seen. 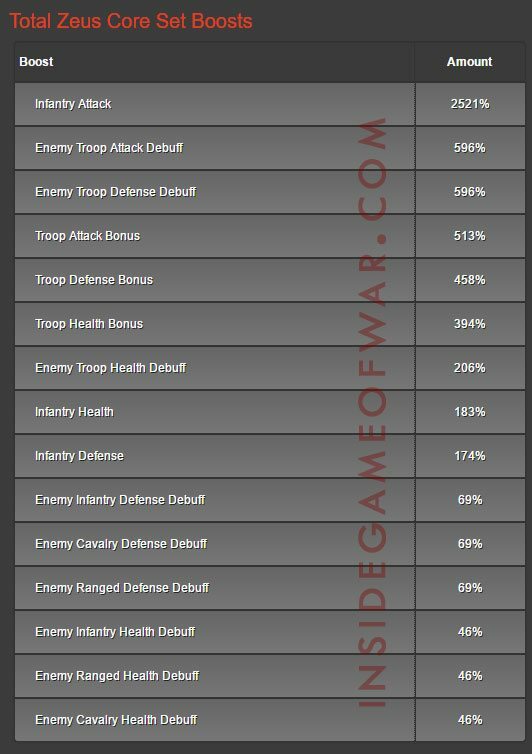 It effectively replaces Zeus as the primary Infantry attack set. 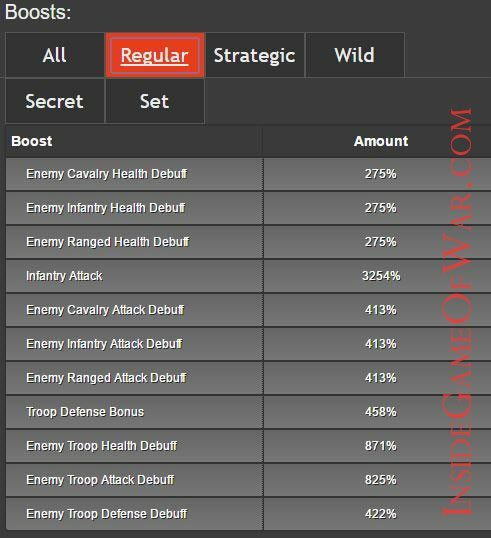 Here is a table of the total boosts (for regular troops). All the new Nike Cores and Pieces are here and on the Best Cores and Pieces Page here. 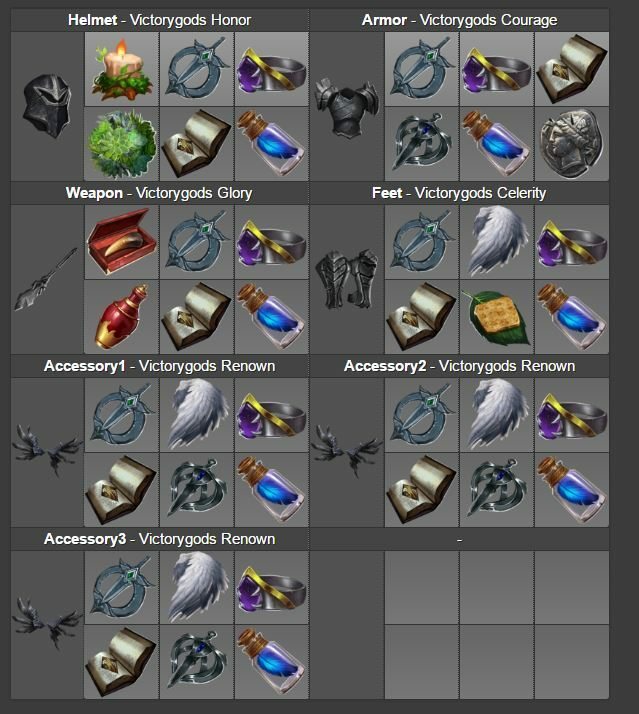 Previous Game of War Weekly Roundup – 28th June, Nike core set, Level 14 March research and more!